800+ years of history up in smoke. Notre Dame Cathedral in Paris is on fire. The images are hard to watch. One of the spires has collapsed. The building isn't just a priceless landmark, it's a church first. What a terrible thing to happen during Holy Week. 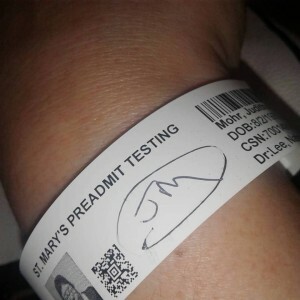 I had my pre-surgery tests today. The nurse spent an hour with me going over my medication list and what I need to do the morning of the surgery. Did some shopping after. I found an amazing Betsey Johnson dress at Macy's- for $21. I was so tired when I got home. I had a two hour nap. I still have those tired periods when I've had a long day. 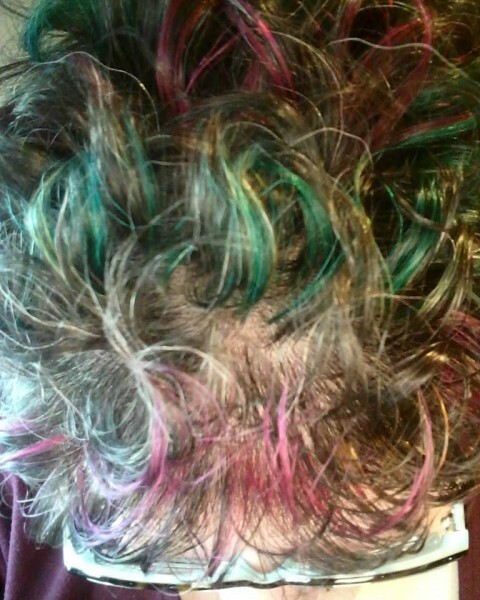 I hit a post-chemo milestone today- I had my first bad hair day. My chemo curls would not behave! I did manage to calm them down. Isn't it funny that I was happy to have a bad hair day? I'm glad to have my hair back, bed head and all. And the colors are looking really good. I was given a mild muscle relaxant and told to rest my leg until the strain completely heals. So my leg is okay, but now I have a stomach virus! Ugh. I had to skip choir tonight. I somehow hurt my leg while walking my sister's dog over the weekend. Definitely pulled some muscles. I can't bend my knee without pain, and it hurts so much that I'm in tears. I don't know if I can make it until my doctors appointment tomorrow afternoon. I may have to go to the ER. I don't need this crap right now! I'm having surgery in three weeks. My hairdresser re-did my hair color. This time she used bleach before adding the color. It came out so much better! My hernia repair surgery is scheduled for April 26th! The surgeon was very pleased with my weight loss, and I'll have time to lose some more before the surgery. It's going to be a little bit complicated and I'll have to stay in the hospital for a few days. Hopefully, this will be the last surgery I have to deal with for a long time! I lost a total of 21 pounds in two months. I hope that will be okay. I did the best I could. I stuck to the diet and I'm still sticking to it. I'm going to keep losing weight. I'm not just doing it for the surgery! New Zealand. The shooter live streamed most of the attack. One year ago tonight, I was in the hospital recovering from a total hysterectomy. I was also dealing with the news that I had ovarian cancer, and at the time I had no idea what stage it was, if it had spread, if I would even be alive in a year. Luckily, I had my mom staying with me, and I got through the week. Most of that week was a blur- a lot of pain and sleepless nights. In happier news, I saw Captain Marvel today. It was amazing.